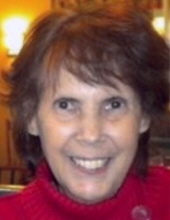 Alice Whitford, 83, passed away on Thursday, January 24, 2019. She was the daughter of the late Gustavo Mora and Hilda del Angel Mora. In addition to her parents, Mrs. Whitford was preceded in death by her brother, Henry Mora; sister, Norma Danielson, and great-grandchild Hope Oswalt. Mrs. Whitford is survived by her husband Merle Keith Whitford; son, Bryon Whitford and wife Gayle; daughters Sandra Colburn and husband John, Deborah Klug and husband Randy; brothers, Jorge Mora (Jean), Herman Mora (Sherron), Robert Mora (Dee); sisters Olga Shogren (Eric) and Tammy Rittenhouse; sister–in-law Marilyn Glaspie; grandchildren, Heather Peterson and husband Matthew, Loren Klug and wife Jenni, Sean Klug and fiancé Sarah Martinez, Brenton Klug and wife Angela Rivas, John “Trey” Colburn and wife Shannon, Lindsey Melendez and husband Artemio, Amanda Oswalt and husband Benjamin, and Brittany Whitford; great-grandchildren, Caleb Peterson, Naomi Peterson, Elijah Peterson, Alexandra Rivas, Samantha Rivas, John Rivas, Cameron Rivas, Greyson Klug, Kinsley Klug, Wyatt Oswalt and Lily Oswalt; and any future great-grandchildren that would also have been the Apple of her Eye. A Memorial Service will be held at a later date in Michigan. To send flowers or a remembrance gift to the family of Alice Whitford, please visit our Tribute Store. "Email Address" would like to share the life celebration of Alice Whitford. Click on the "link" to go to share a favorite memory or leave a condolence message for the family.